Category: Religion and Spirituality Tags: Enlightenment, osho, religion. Osho is known as one of the most provocative teachers of our time. ‘The idea of rebellion is not new,’ he has said, ‘but the idea of rebellion combined with enlightenment is absolutely new – it is my contribution.’ This book shows the accuracy of this self-assessment. Comprising selections from his extemporaneous talks, it presents an overview of the key teachings of his revolutionary credo of ‘living dangerously’. Critical of the traditional religions for rules and doctrines that impose a ‘psychological slavery’, he instead emphasizes personal responsibility and freedom. Among the many key themes discussed here are ‘wholeness’ (total absorption in one’s actions) and scientific scepticism – ‘it is doubt that one day is going to help you discover truth’. Nearly two decades after his death, Osho’s iconoclastic message has a growing body of followers worldwide. Osho defies categorization. His thousands of talks cover everything from the individual quest for meaning to the most urgent social and political issues facing society today. Osho’s books are not written but are transcribed from audio and video recordings of his extemporaneous talks to international audiences. As he puts it, ‘So remember: whatever I am saying is not just for you… I am talking also for the future generation.’ Osho has been described by the Sunday Times in London as one of the ‘1000 Makers of the 20th Century’ and by American author Tom Robbins as ‘the most dangerous man since Jesus Christ’. About his own work Osho has said that he is helping to create the conditions for the birth of a new kind of human being. He often characterizes this new human being as ‘Zorba the Buddha’ – capable both of enjoying the earthy pleasures of a Zorba the Greek and the silent serenity of a Gautama the Buddha. Running like a thread through all aspects of Osho’s talks and meditations is a vision that encompasses both the timeless wisdom of all ages past and the highest potential of today’s (and tomorrow’s) science and technology. Osho is known for his revolutionary contribution to the science of inner transformation, with an approach to meditation that acknowledges the accelerated pace of contemporary life. 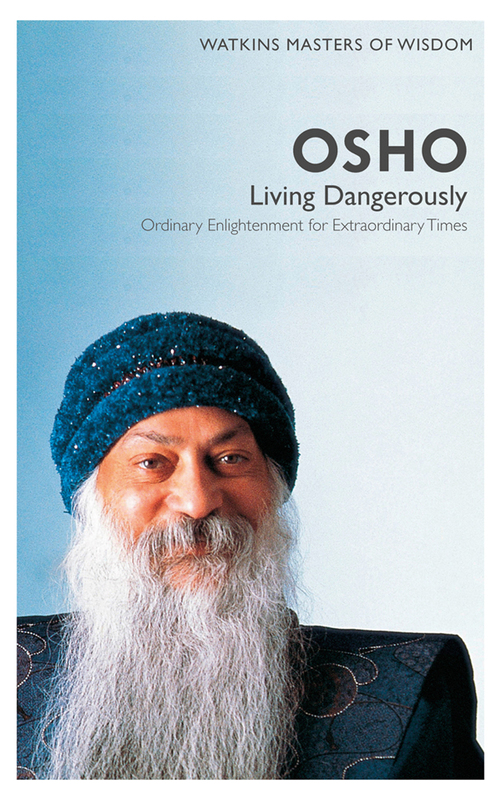 His unique OSHO Active Meditations are designed to first release the accumulated stresses of body and mind, so that it is then easier to take this experience of stillness and thought-free relaxation into our daily lives.